I'm glad to see you here again and I'm going to tell you some useful tips on controlling the sleep functions of your Mac. Macs are believed to be power efficient thanks to their optimized schedule of sleeping on OS X. Still, in some situations you won't want your machine to sleep, for example, while downloading some large file, reviewing a spreadsheet, reading a book or analyzing content from the screen. I can continue this list nearly forever... To cope with this issue, visit 'System Preferences' and play with your settings. But this can become a problem, if you need to do this too often. So, I want to tell you about different comfortable ways of dealing with this dilemma! A classic and the first option that comes to mind is a free Caffeine program. Recent OS X versions made some changes to the sleeping mode, and there is a comfortable built-in app for inducing insomnia. 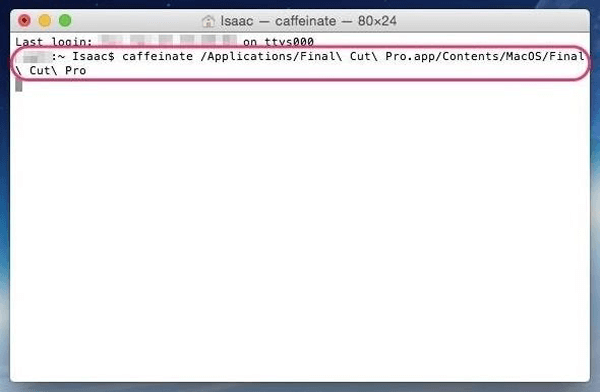 The Caffeinate aptly is a utility looking like a command line and can be accessed with Terminal. As you could already suggest, you should run a command there and your Mac won't get asleep until you turn it off. It can be run in a classic way or be modified and customized basing on your preferences and needs. You can add a timer, target a process or program, or modify some specific sleep options. As I've said before, Caffeinate can be accessed via Terminal. Find it in the Spotlight search, or Launchpad, or 'Applications' > 'Utilities', and open it. 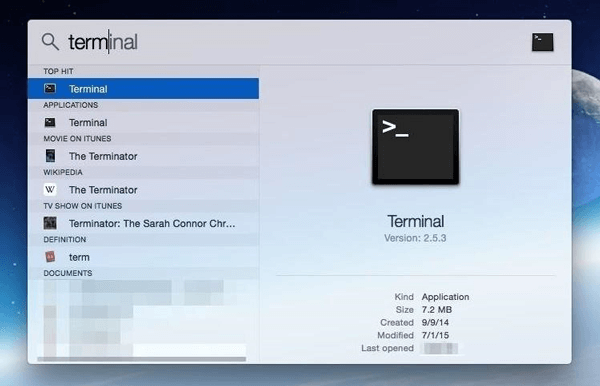 Once you run this command in Terminal, you Mac will be prevented from going asleep. It will be active all the time while Terminal is active. 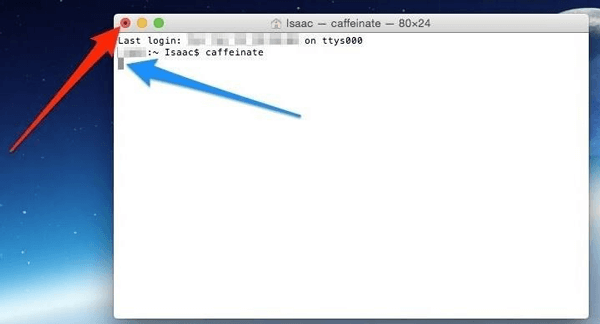 Type in: 'caffeinate' inside your Terminal and press Enter. Terminal will show you 2 small actions that can tell you that it is active now. The red spotlight highlighted with a dot and a red arrow tells us that Terminal is running some command at the moment. And an unavailable cursor indicated by a blue arrow tells us that that command is being carried out currently. 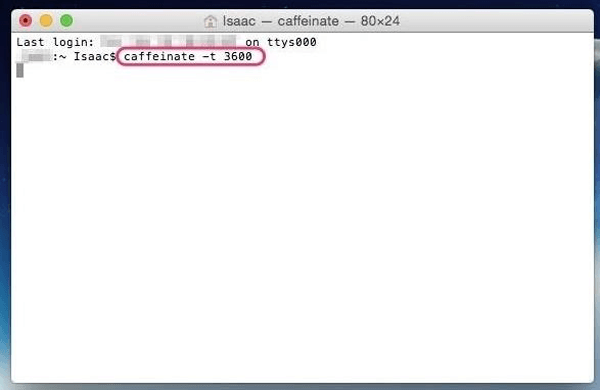 If you need to stop Caffeinate, press Ctrl+C keyboard keys while you are using Terminal. Maybe you already know that it is a classic combination that stops the current commands in Terminal. So, your Mac will restore its usual sleep cycle after you press this key combination. '3600' - is the amount of seconds you need. It is much simpler than it can seem at the start. So, the first part was just the 'caffeinate' command, and as for the second one, it was a location of a program of your choice. In our case, it was Final Cut Pro. If you have experience of using the command line, then you surely know how to combine commands to get a right result. I have shown just a few variants in my article, but you can create new scenarios and vary them from time to time. On the other hand, there are lots of variants that will conflict with each other, and you can make mistakes in case you are not an expert in using Terminal, especially if you have never used it before. In this situation, it is better to use the Caffeine application that is intuitive and user-friendly. As for me, I can work with both options. Caffeine is a perfect way for quick and easy solutions, but Caffeinate is an ideal option for creating your personal scenarios.